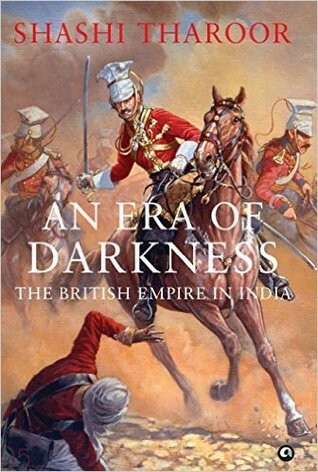 An Era of Darkness: The British Empire in India is written by Shashi Tharoor, politician diplomat and author. This book is born out of his speech at Oxford where he participated in a debate on the proposition ‘Britain Owes Reparations to Her Former Colonies’. The speech is linked here. “An Era of Darkness” is a hard-hitting book, even for those of us familiar with Indian history. Shashi Tharoor has left few avenues unexplored as far as the rapacity of the Empire is concerned. A topic like this is divisive. If you are Indian or belong to the sub-continent (like I am), it is likely that you will be emotionally affected by this book. If you are European (or a privileged White), it is likely that you will consider this book hyperbole. “An Era of Darkness” is written in a non-linear fashion. That is, each chapter focuses on a set of topics (Democracy for example) and we see the history and arguments on the topic spanning the entire history of British rule in India. Democracy, the Press and the Law — did the British actually give us democracy? Did we have a free press? What about the other institutions like the Law or Politics? Did the British have any kind of altruism in developing India? Would India have been better off with or without the British? What effects does colonialism have on free India? ‘An Era of Darkness’ ticks all the right boxes. Let’s see what those are. First off, the writing is excellent. The author’s erudition and the amount of research comes across in every sentence in the book. This amount of research does not make book dry. There is plenty of dry wit. Next, it is comprehensive in its coverage. When we think about the Raj, we tend to think in terms of the conquest of India and the freedom struggle. This book takes us into a lot more areas that affected the people of India. For example — the prominence of Railways over waterways or the influence of British education on the people who drafted the Indian constitution. Thirdly, Shashi Tharoor considers all the standard arguments that apologists have for the empire — the parliamentary democracy, eradication of social evils etc. — and demolished them one by one. He is willing to criticize where necessary. No one is exempt including his own party and the decisions from the likes Nehru or Gandhi are also subject to scrutiny. This criticism is constructive since he proposes alternates wherever possible. Lastly, I liked the relatively even-handed approach taken by the author towards this historical period. He is clear that while financial reparations are not going to be of much use, an apology is forthcoming. Shashi Tharoor also mentions that while there is no point in recriminations, this history should not forgotten. I strongly recommend this book. I had to put down the book many times to process what I read at an intellectual and an emotional level. Not many books can claim to have done either to me. ‘An Era of Darkness’ is a fantastic read. And it has given me a new-found respect for Shashi Tharoor. I will end this review by posting the Brown Man’s burden written by Henry Labouchere as a counter to Kipling’s notorious White Man’s Burden. There’s no more paying game!